The Art Gallery of Ballarat is a Not for Profit Company Limited by Guarantee, owned by the City of Ballarat and governed by a Board of Directors. Fotr operating funds, the Gallery relies on support from the City of Ballarat, Arts Victoria and grants and donations from individuals and a range of organisations, including trusts and foundations. 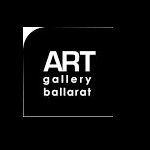 The Ballarat Fine Art Gallery Association is an incorporated organisation which founded the Gallery in 1884 and ran it until 1978. Although the Association no longer owns the Gallery it still continues to support the Gallery's collection and activities. The Art Gallery of Ballarat Foundation was established in 1998 as a Charitable Fund for the future benefit of the Gallery. The main aim of the Foundation is to establish a substantial capital endowment to earn sufficient income to assist the Gallery with specific projects or acquisitions. Crumpler announced itself as a creative travel brand through a series of irreverent marketing campaigns. In 1995, you couldn’t cycle around Melbourne’s extensive bike paths without seeing the now iconic Crumpler logo spray painted across the path.The campaign piqued interest in the brand and people flooded into stores.The marketing campaigns, combined with word of mouth about the legendary quality and functionality of the bags, helped firmly establish the Crumpler brand in Melbourne with a rapidly growing and fiercely loyal customers base within Australia. 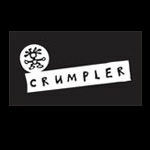 The logical next step was to take Crumpler to the world. 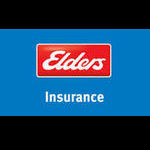 Elders Insurance was established in the late 1800s and is one of Australia’s largest regional and rural insurers. We provide local service and solutions through our presence in over 150 locations throughout Australia. 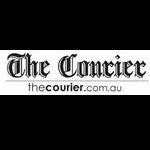 In terms of our ownership, Elders Insurance (Underwriting Agency) Pty Limited is owned by QBE. We also offer services in public galleries, mirror framing and have the largest range of ready made frames in Victoria. Have you or your child competed in an event recently? Check out our Gallery where you can browse and buy prints right from the comfort of your own home. Let Lloyd and Loraine professionally immortalise and package your special moment so that you can cherish those memories forever. Have a question? Why not give us a call on (03) 5331 2742, we are more than happy to lend our assistance to capture your next big event. 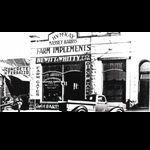 Operating since 1938 Hewitt and Whitty is an iconic Ballarat business. John Hewitt (Accountant) and Jack Whitty (Farm Machinery Salesman), both returned servicemen, formed a partnership with their wives and first started trading on the 4th of July 1938. The first shop was located at 15a Doveton St Nth, where the Mid City Motel is now situated and was rented from SJ Weir Builders. In 1951 a much larger premises was purchased from the Victorian Wheatgrowers Corporation, just across the road at 24 Doveton St Nth. John Hewitt’s son Bill joined Hewitt and Whitty that year with his two sons also later joining the family business, Greg in July 1976 and Peter in June 1981. The official opening of the current shop, built on the corner of Carngham Rd and Wiltshire Lane, was held exactly 50 years after Hewitt and Whitty commenced trading, on the 4th of July 1988. Greg and Peter Hewitt continue to actively run the business today. Event Co-ordination – as you can imagine, we provide equipment, personnel, infrastructure provision and management almost every day, often in the role of having to “sort out” what are technically not our problems, (like identifying a faulty Urn causing power drop outs for other people, or identifying O.H.& S event problems before they are an issue and resolving them to a satisfactory level) – we do this however, as we believe that each and every event should be a success in every possible way – ALWAYS! Even if we are not officially managing or co-ordinating the event, we will always find out as much as possible about what has been organised and advise if we foresee any likely problems, its all part of what we do!, However if it all seems too daunting, let us know and we can help get your event up and running! Rigging – Most of us hold VWA Certificates for activities such as Rigging, Scaffolding, elevated work platform and forklift (RB, SB, WP & LF). So access to strange places, equipment relocation, and suspending strange things in strange places are all usually “do-able”, no matter how weird you think your idea may be – try us – we have probably done it before! Co-ordinating a theme – Specific colours? Logos? Draping? Throw your ideas at us and we will let you know what is possible! Happily Co-exist with other services – We have good working relationships with most Venues, Caterers, Event equipment suppliers, Event management groups, Electricians, Councils, Workcover, The general public and, of course – YOU! And of course - Sound Design, Lighting Design, Frequency Management, Power Distribution Management, and much more for your event. We also offer installed equipment system design, we can provide specialist advice on design of infrastructure and equipment for Theatre, Halls, Commercial & Industrial Sound, Lighting, Rigging and Vision. This includes evaluation of needs, specification of equipment type and location, cable types & locations, tracing of existing services, Austel Licensed phone & data cable installation and fit-off, equipment customization (we have qualified electronics techs/engineering staff), Supply and installation of professional PA, lighting and vision equipment & consumables, and a bloody good idea of what is really required in a real life theatre or other entertainment venues. We can also evaluate and provide PA/EVAC systems for industry and commercial premises, based on existing noise floor measurements and design a system with performance to exceed minimum calculated intelligible SPL levels for a PA that can be heard correctly! 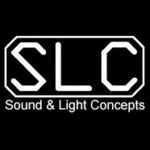 Custom manufacturing of mounting brackets for installed lights, speakers, vision gear, etc. on a “one off” basis, we also manufacture portable stage systems, laser cut BBQ plates, truss adapter plates, autopole plates, and some standard lighting brackets – also if you own 500w Selecon Cyclorama lights – call us – we have a laser cut friction plate solution to the crappy lock off system fitted as standard – born out of our own frustration! We also have some more unusual stuff we can provide, like Mobile Broadband modems, rotating laser levels, All terrain Forklift/Bobcat, we can do plotting up to A0 paper, Vinyl cut signage, lighting and set visualisations with Martin Show Designer & WYSIWYG, among other weird and wacky stuff – just ask – you may be surprised! 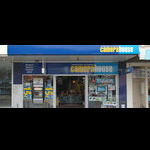 This is the oldest camera store in the country, opening the doors in 1872 on the gold fields. We have only had 3 owners, George Richards, Phil Thornton and the current owners the Lewis family. The company has continued to evolve from primarily a studio through to cameras and processing and a commercial lab in the 1970s. We now stock a wide range of photographic equipment and process for many proffessionals in our area. We endeavour to provide personalised service and up to date information. The store's atmosphere is calm, proffessional and friendly. Webster Dolilta Finance Limited (W&D Finance) has been a strong and proud member of the Ballarat business community since 1966. 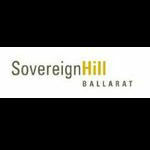 We remain locally owned and operated, with all Directors and staff residing in the Ballarat region. W&D Finance are committed to building and nurturing businesses to benefit local economies and community relationships well into the future. The Ballarat International Foto Biennale Inc (BIFB) is a not for profit organisation presenting a month­‐long biennial festival of contemporary photography in the historical city of Ballarat, in regional Victoria. BIFB comprises of two major exhibition programs including the Core Program, a curated exhibition of 20 leading Australian and international photographic artists presented in eight heritage buildings in central Ballarat, and an open entry Fringe Program, a city‐wide presentation of over 200 artists staged in more than 80 venues including cafes and galleries, throughout project spaces, and across public sites. This photo festival is the second largest economic impact event in Ballarat, contributing over $1.4m biannually to the local community. These exhibitions are complemented by an extensive events program for photographers at all levels through its program of workshops, seminars, audio­‐visual projections, master‐classes, artist floor‐talks, portfolio reviews, an education program and photographic competitions and prizes. We are currently producing the 2015 edition of the photo festival that will open on 22 August and run until 20 September 2015. 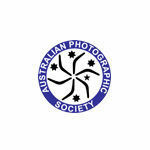 The Australian Photographic Society is Australia's own national photographic organisation. The aim of the Society is to promote, improve, share and enjoy photography in Australia offering many extensive services, all specifically designed to improve photography and photographic skills. Membership is open to all - international exhibitors, beginners, amateurs and professionals. VAPS is an affilliation of Victorian camera clubs and an incorporated body. 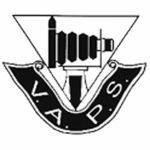 VAPS is a Committee of Management, elected each year at an Annual General Meeting, by the membership of affiliated camera clubs. It is a "not for profit" organisation, put together principally to manage the promotion of photography for Victorian camera clubs, to give Victorian amateur photographers, through their respective clubs, a collective voice and provide the management facility to stage and participate in large and small-scale events that would normally be beyond the administrative and financial capabilities of any one small group. VAPS as a body, runs an annual Interclub competition. Entries, while created by individuals, are presented for judging as a collective represention of their particular camera club. Merits are awarded to the top images in small and large print, slide, digital media and audio-visual divisions. The small print division is where most novice workers start their pilgrimage toward bigger and better things, moving up to large prints as they progress. The digital division is for digitally projected images. There is no novice section in the digitally projected image division. The A-V division gives workers an opportunity to display images in a continuous, 'sophisticated slide-show', story-telling environment, with accompanying voice-over narration and music. VAPS also runs an annual Muster, a convention-style gathering staged at varying locations throughout Victoria, for members to attend seminars and practical worksops presented by photographers and speakers of renown. It is also the place at which the Interclub Exhibition is held, giving attendees the opportunity to view the prints, digital images and AV's that gained Acceptance level in the VAPS Interclub Competition. 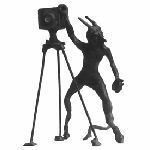 VAPS, with it's direct links to Australian and international clubs and organisations, provides Victorian camera clubs with the knowledge, initiatives and incentives to promote and expand the art and craft of photography. 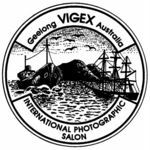 The VIGEX Committee conduct an International Photographic Competition and Exhibition in the State of Victoria, Australia. This is an International Salon which has all six sections approved by both the Australian Photographic Society Inc and the Federation Internationale de l'Art Photographique and five sections approved by the Photographic Society of America. It is held once every two years and is open to both professional and amateur photographers. Our Club invites memberships of anyone interested in amateur photography whether as a hobby or as an expression of art. New members are always welcome to join and share your photos with others through field excursions and club competitions. The Camberwell Camera Club was established as a community organisation in 1953 through the interest of a number of local residents. We offer opportunities for you to display your work or enter into competitions with other club members. Many members also enter National and International competitions. But if the photographic side of your life is just enjoying others images, then so be it! Whatever you choose we are sure you will enjoy your photography more with us. 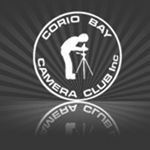 Corio Bay Camera Club was formed by a group of Ford employees as the Ford Camera Club on 3rd June 1954. 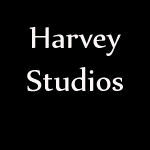 Our aim is to promote the art of photography among our members and in the wider community, and to provide a friendly atmosphere where members and visitors can make, present, view and discuss their images and learn from each other. Geelong Camera Club Inc. provides a positive environment for both members and the visitors to learn about photography and develop photographic skills through competition, presentations and social activity. 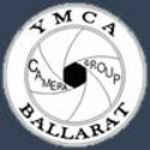 Geelong Camera Club Inc. prides itself on being an informal, enthusiastic and friendly club which extends a warm welcome to anyone with an interest in photography. The club has been meeeting for more than 120 years, making it the oldest club on mainland Australia. The club continues to support all forms of photography whether it is pursuing the newest trends in digital photography or retaining the traditions of film. Geelong Camera Club Inc. offers an interesting and varied program throughout the year, including, guest speakers, members evening, regular competitions, practical sessions and weekend outings. 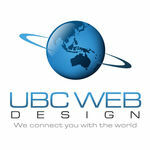 Web Design & Development covers a wide area. You might be looking for a Single Page site for a market stall or to get your cafe menu online, or perhaps you need an Online Shop to make your product available around the world. Whatever the project, we're able to help get you going. Browse through our portfolio and get in touch to discuss your project. Our mission is to provide the best possible service to all our clients and remain ahead of the game, while adding a personal touch you normally only get with small business and to enjoy what we do.